Leonminster Credit Union program teaches financial life skills, awards prizes along the way. 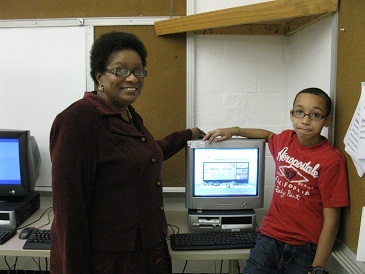 Ingrid Adade, financial literacy officer at Leominster Credit Union, and Elyjah Collins, the Sky View MoneyGuru. Leominster Credit Union in Leominster, Mass., announced that 11-year-old Elyjah Collins from Sky View School is the first MoneyIsland Guru in the state.